Ashford Stripes range easily reminds us why stripes are eternally popular for decorating. They are neat, versatile, traditional or contemporary and refined. A variety of styles of stripes is found in the Ashford Stripes Wallpaper collection. 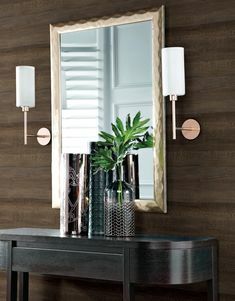 This collection features simple and subtle colours that will achieve a sophisticated decor style. Pops of colour easily add panache to a subdued and calm style approach. 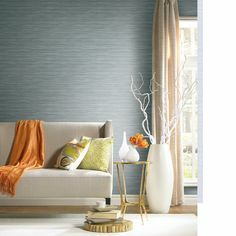 To achieve a different look try stripes around the room instead of vertical. It’s easy as running the wallpaper around the room. 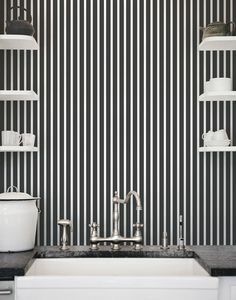 Stripes can be used in most rooms or feature walls. Check out some room settings ideas below and more at our online catalogue – The Wallpaper People. See more designs at our online catalogue – The Wallpaper People. Or Pin us at Pinterest to find later. To find a retailer that can help with your selection check our our find a retailer section.